"Mail Art Bismarck has brought a variety of dazzling interpretations, but hardly any serious (even critical) effort on the historical acclaim of this person. what a pitty. 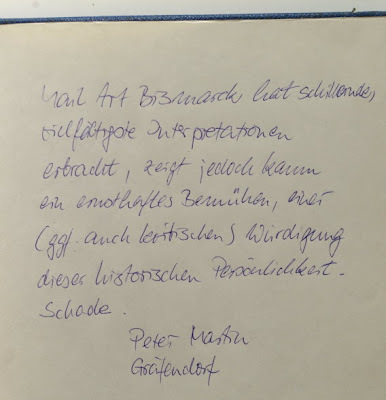 Peter Martin from Gräfendorf"
o.k. 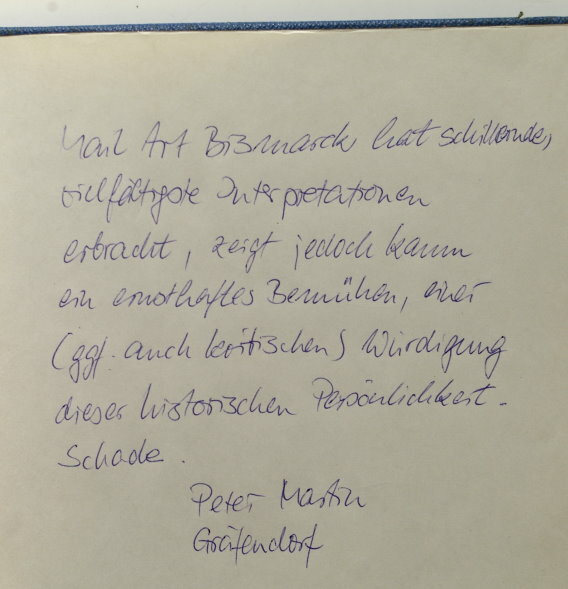 I suppose he has not spent so much time in the exhibition, because there is even a whole showcase which is about the historical acclaims of Bismarck, and even critical. far beyond that, you can find in any other showcase and installation lots of interpretation about his political efforts, but you have to look intense, there are more than a thousand images to see, maybe he has not seen the wood for the trees... what a pitty that he has seen all that.